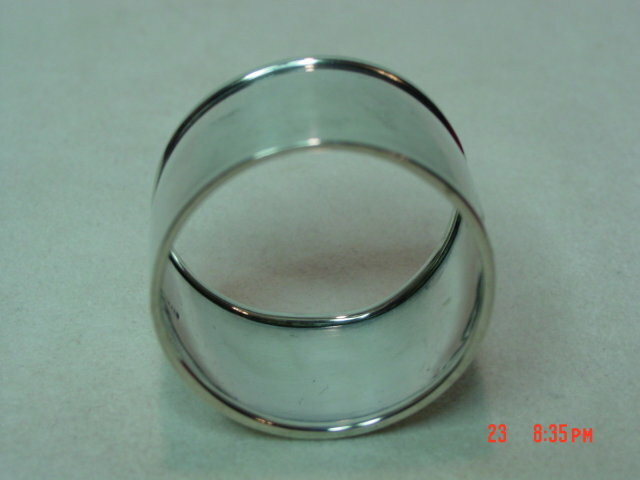 Antique sterling silver napkin ring made by Sterling Silver Manufacturing Company (SSMC), which was in business from 1909-1932. 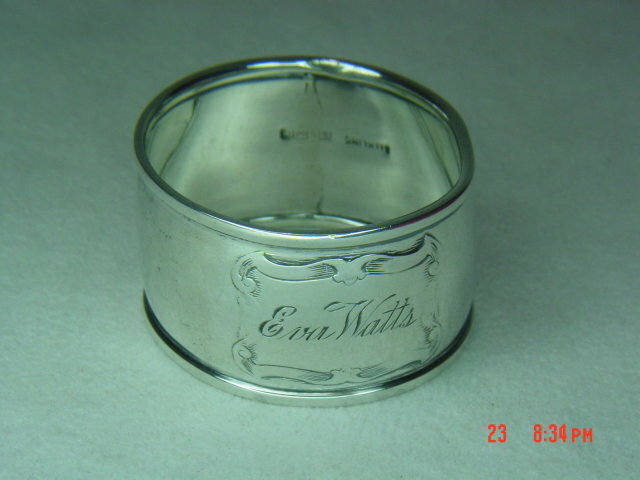 The name "Eva Watts" is engraved in script inside a scrolled box. Weighs 10.5 gms. 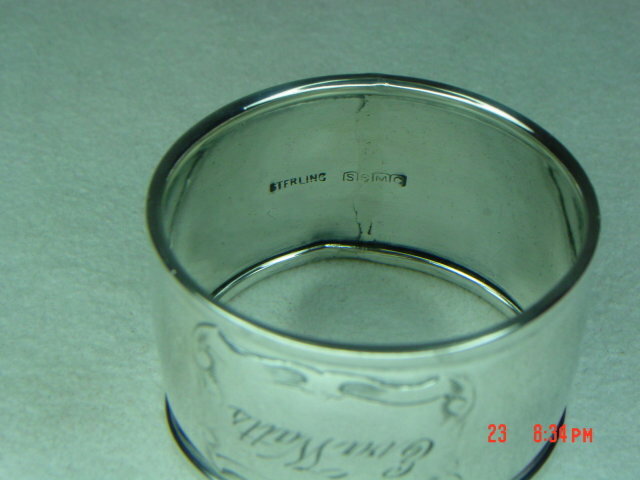 Items Similar To "Sterling Silver Manufacturing Co. (SSMC) Engraved Napkin Ring"